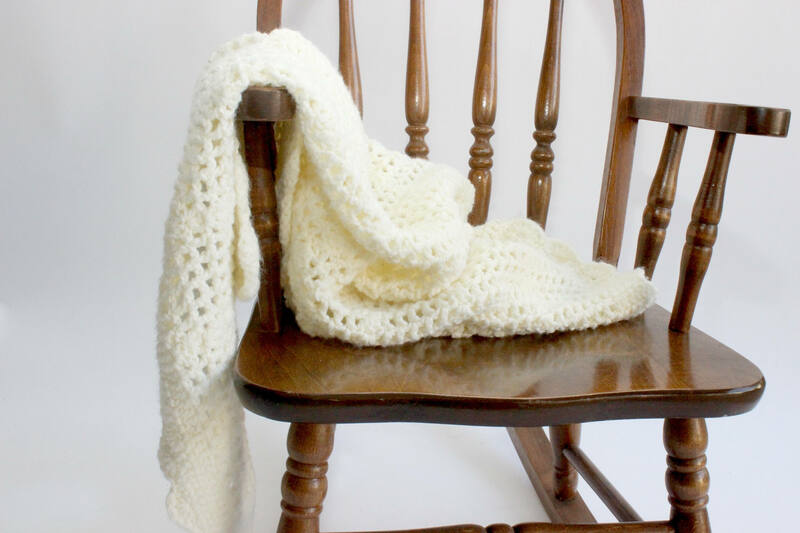 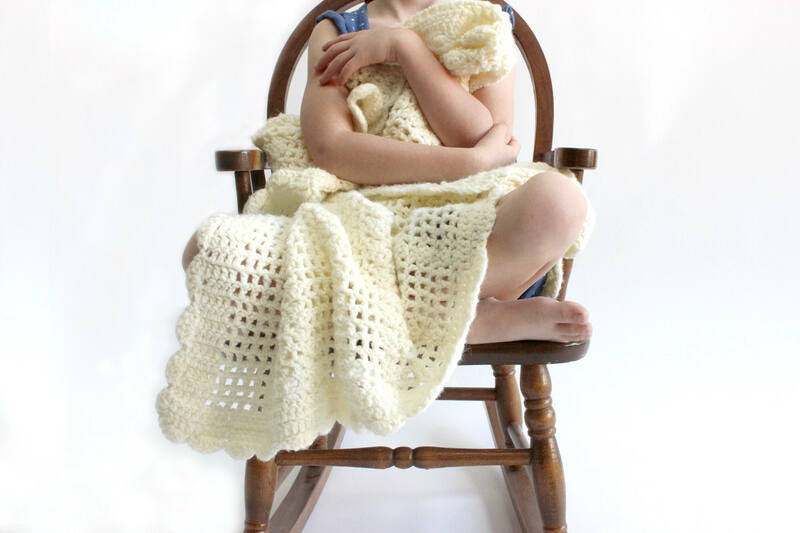 Hand knit cream colored baby blanket. 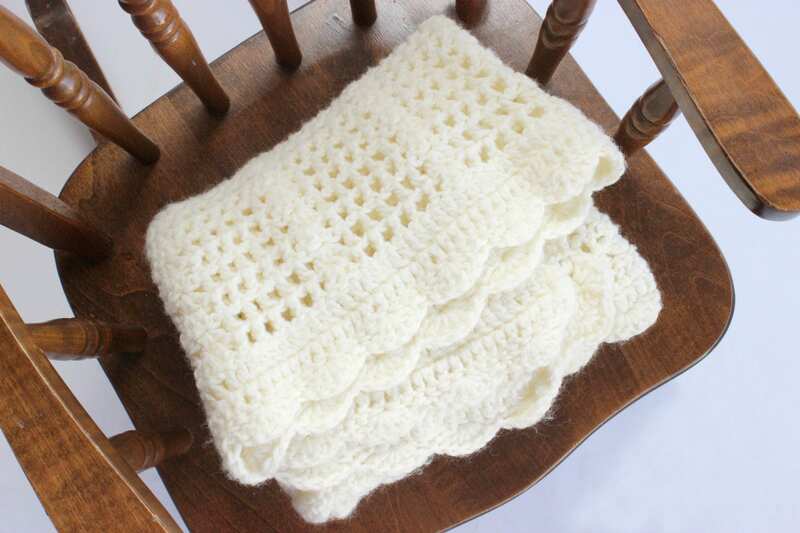 Beautiful soft wool blanket with scalloped edges. 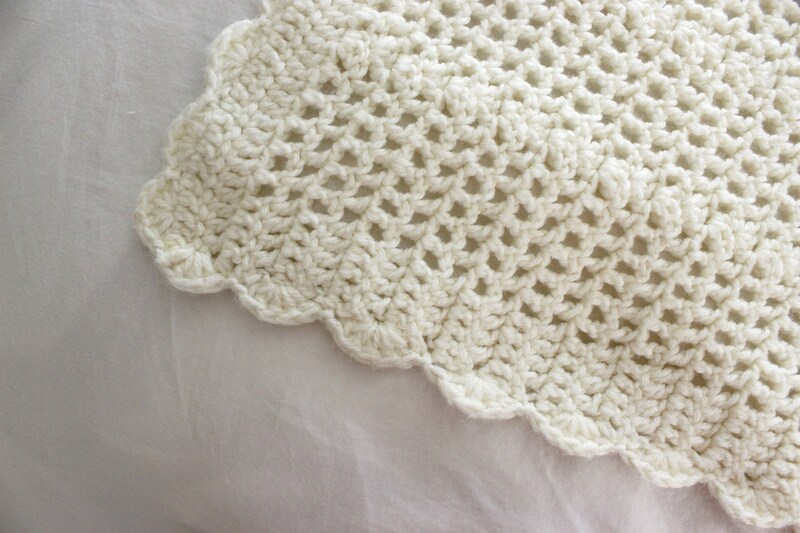 Small blanket perfect for a baby or dolls. 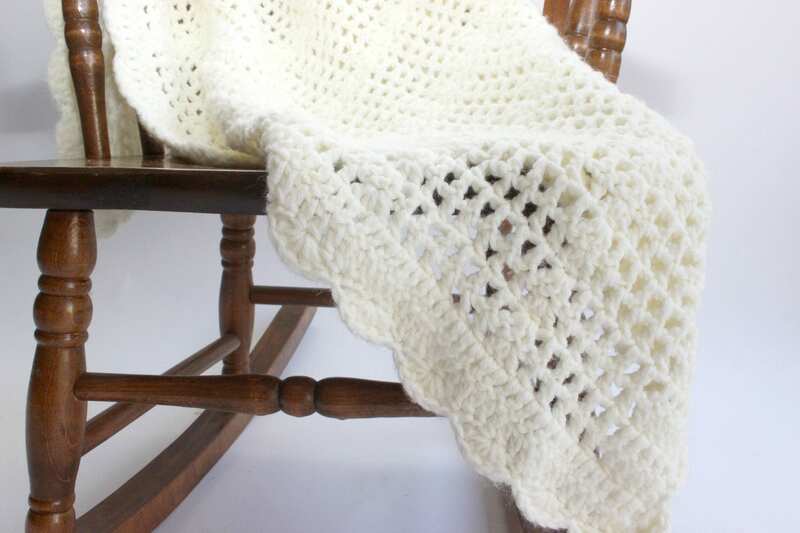 Measures 26 inches by 34 inches.